We won't be beaten on price, quality or turnaround on all of our promotional pens. With a massive range of customisation options available and rush service in as little as 5 days to your door we are ready to serve you to get the exact pen needed for your promotional needs. Browse our range of custom pens below and contact us for a quote. Whether at home, the office, or out running errands, at some point during our day most of us reach for a pen. Although any pen or pencil will do when jotting a quick note or phone number on the fly, let’s face it—we all have one or two favourite writing instruments. You know, those trusted “work horse” pens that we prefer to use when we really need to get the job done right. Because comfort, grip, style, weight, ink flow, and consistency matter! 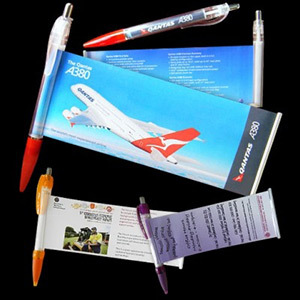 The promotional pens and pencils that you will find in this section are not only attractive and functional but are available at surprisingly cheap prices and can be delivered to addresses across New Zealand, making them an excellent choice for organisations that are looking for a convenient and cost effective solution to their marketing merchandise needs. 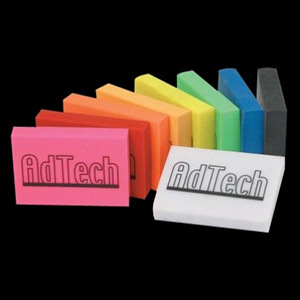 There’s no better choice when it comes to corporate promotional products! If you want to make sure that existing and potential customers think of your firm before others, writing instruments printed with your company name and logo offer an inexpensive way to achieve this aim. Most people use a pen at some point during the working day, which means that your corporate giveaways will be seen in offices across the country on a regular basis. 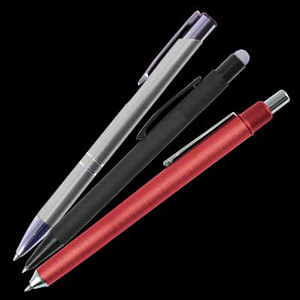 Whether you are looking for high quality pens that can be presented to valued clients or low cost items that can be given away in large numbers without overstretching your marketing budget, we have what you need. Our carefully selected range of writing instruments have been chosen to provide our customers with the best possible choice at the best possible prices. Our knowledge and expertise in the corporate gift industry enables us to offer our clients a consistently high level of customer service, whatever their particular needs may be. We pride ourselves on our ability to assess each customer’s requirements and provide accurate quotations that include the provision of high quality art proofs and our nationwide delivery service. 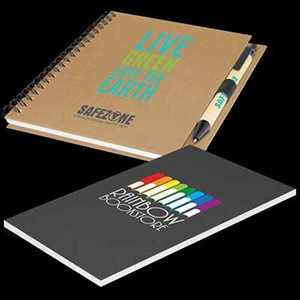 If you would like to present your customers with a gift that will be easily noticed wherever it is used, our promotional highlighters, which are available in bulk and can be printed with custom logos and lettering, could be just what you have been looking for. Silver accents, a metal clip and a colour matched contoured grip add a touch of class to these corporate giveaways and ensure that your customers will be delighted with their gift. Depending on the items that you wish to buy and the branding that you require, your order could be filled in as little as 5 to 7 days, making it easy for you to replenish stocks when necessary. Long lead times are not acceptable in our opinion and we make every effort to ensure that all of our customers’ orders are completed without delay. If you would like to know exactly how long it will take to receive a particular item, please feel free to call and we will be happy to discuss your order. We have a team of professionals that are capable of producing high quality proofs for your approval, at no extra cost, so there is no need to worry if you are not able to supply us with finished artwork for the logos and other images that you would like to have printed on your writing instruments. Whatever your requirements, we will work with you to make sure that they are met. 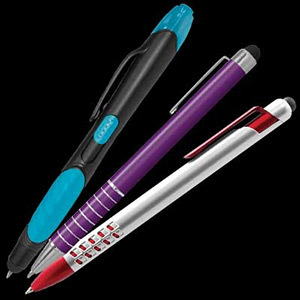 Smart marketing organisations are aware that we all have preferred pens, and have tapped into the marketing potential of this fact by providing their customers, potential customers, and employees with high quality and eye-catching writing instruments that have been customised with their brand logo and contact information. 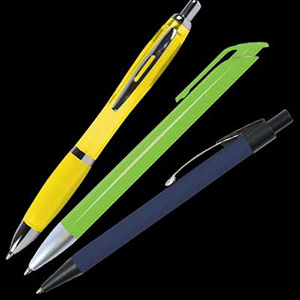 Every time these customised promotional pens are picked up, their company’s brand exposure and share of mind are increased. And it doesn’t hurt that it’s such a simple, cost effective way to raise an organisation’s public profile! Looking for an alternative promotional product such as printed lanyards or USB flash drives? 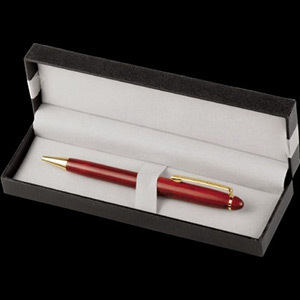 Dynamic Gift can produce a wide range of merchandise in accordance with your needs. To learn more, contact us today on 0800 177 666.